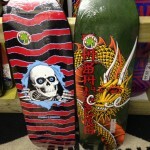 Great gift ideas from Japi, Summerjet, Powell-Peralta, and the all new Zero and Fallen DVDS! Hey there folks! Hope your weekend is going great! It’s the holiday season, so we’ve got some great gift ideas for ya! 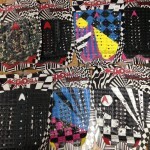 For the first time ever, we’re proud to carry the all new local based brand Japi, we’ve also got some fresh new Summer Jet surfboards, and the all new Zero and Fallen videos, among many other things. So, don’t be late, get over here and see what all the buzz is about! Don’t forget to check us out on this obscure little website called instagram! 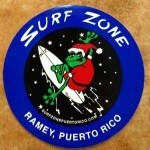 The 2013 Surf Zone Holiday sticker! The all new Mega-ton model from Summer Jet! This is a step up for the Tesla . It has thinner rails and less concave to better handle more powerful surf, but it still has the low rocker to carry speed around sections and over flat spots. This is a great all-around board. 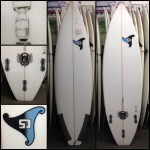 Comes with the new FCS II fin system! 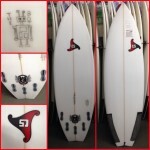 The board pictured here is 5′ 10″ x 19 1/4″ x 2 3/8″ 28.1L. Available for custom order. The Bot is flatter and wider than a standard short board. The bottom has a single concave center to a double between the fins to V out the tail. Combine that with a medium thickness rail and you have a board that is stable yet easy to turn. 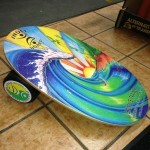 It excels in less than perfect surf and can be ridden by any skill level. Bigger sizes make a great junk wave board for the average surfer while smaller boards can be ridden by experts in a wide range of surf. The board pictured here is 5′ 6″ x 19.5″ x 2.3″ 27.2L. 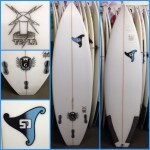 Comes with new FCS II fin system! Put this in your pipe and smoke it! Or just put it on your new Summer Jet! 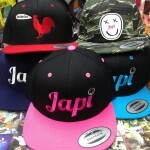 Japi is now available at Surf Zone! 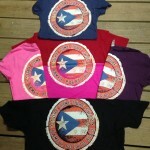 Japi shirts now available! Also in kids sizes! 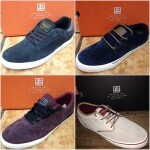 New arrivals from Globe, the Delta, the sabbath, and the motley. 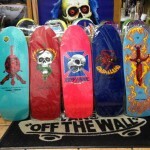 Any of these Bones Brigade re-issues would make a great Christmas gift! Need some wheels? 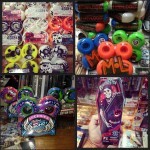 We’ve got plenty from Bones, Mini logo for you price conscious consumers, some colorful spitfires, including some soft ones, and some Peter Ramondetta Spitfires that come in some creative coffin packaging that would make a great stocking stuffer! The indo board balance trainer would make a great Christmas gift! 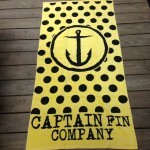 Get yourself a Captain Fin towel! Just one of many cool towels that we have available! 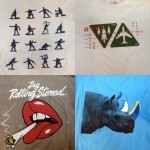 Just a few of the many cool t shirts that we have available! Hurley, RVCA, LRG, and Quiksilver. You want a Surf Zone shirt with a flag on it?! Well, here ya go, pal! 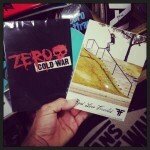 Zero Cold War on DVD and FALLEN The Road Less Travelled on DVD Blu ray combo pack. Great gift ideas!